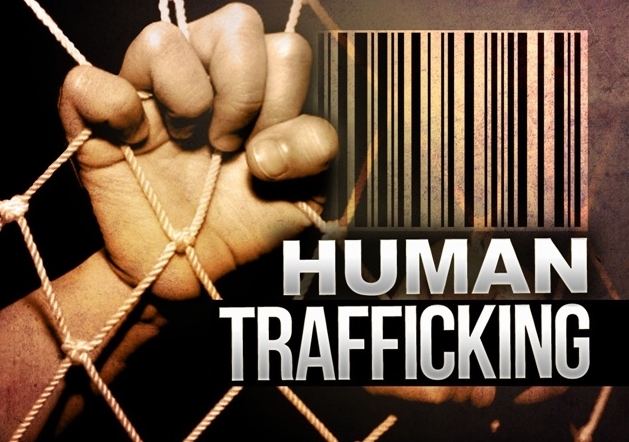 COLUMBUS, Ohio (AP) – The Columbus airport is joining its counterparts nationwide in training employees to recognize signs of human trafficking in an effort to curb exploitation. Beginning this month, all 400 employees at Port Columbus International Airport will view a 30-minute video on spotting signs of trafficking. Workers include police officers, maintenance workers and people staffing information booths. The awareness campaign in Columbus joins those at 13 airports across the country including JFK and LaGuardia in New York, Chicago-O’Hare and Los Angeles International Airport where the Department of Homeland Security has posted messages on video monitors and airport shopping bags. Other industries, including hotels and trucking, also are increasing efforts to detect trafficking. -Have few or no personal possessions and aren’t in control of their own money, financial records or bank account. -Aren’t in control of their identification documents and aren’t allowed to speak for themselves. -Can’t move freely in an airport or on a plane or are being controlled, closely watched or followed. Other clues include people who can’t give details of their location or flight information, and have lost track of time. “We certainly hope that it’s going to be productive and result in helping some of the victims out of this very horrible situation,” said Ron Borden, chief operations officer of the Columbus Regional Airport Authority. “Does she seem controlled and afraid?” asks a question superimposed over the photograph of a young woman. “Is he forced to work for little or no pay?” says a second question over a picture of a teenage boy. Other industries have ramped up trafficking awareness. Colorado-based Truckers Against Trafficking trains drivers to recognize the signs and encourages cooperation with police to stop it. Polaris, a Washington, D.C., anti-trafficking organization, works with the hotel industry to prevent trafficking, including a current initiative with the American Hotel and Lodging Association to provide training for hotel employees in Baltimore. The hotel and lodging association is educating the employees on human trafficking, establishing procedures for reporting suspected cases and encouraging other companies to join the fight. The nonprofit Airline Ambassadors International has offered training at two dozen airports in the U.S. as well as Kiev, Ukraine. Last month, San Francisco International Airport trained about 220 employees who come in contact with the public, including baggage handlers and maintenance workers, the first in a series of sessions for Bay-area airports. The training targeted potential trafficking ahead of Sunday’s Super Bowl, but the airport is using the event to focus attention on the overall problem. Cleveland Hopkins International Airport has trained its police officers and likely will expand training to other employees ahead of this summer’s Republican National Convention. Last March, a Cleveland man was indicted on prostitution charges in a case involving a woman allegedly brought in from China through the airport. Charges were dropped after a witness couldn’t be located. The Cincinnati/Northern Kentucky International Airport has investigators trained to detect trafficking and has also trained employees to look for signs, said spokesman Bobby Spann. Other airports where Homeland Security anti-trafficking messages were displayed last summer: Baltimore-Washington; Boston’s Logan International; Ontario International in San Bernardino, California; San Diego International; Minneapolis-St. Paul International; Pittsburgh International; Miami International; and Ronald Reagan National Airport in Washington, D.C. Similar messages are currently on display in the Houston, Jacksonville, Florida, and San Francisco airports.